People love to find old coins. I know I do! Unless you’re visiting a coin dealer, you’ll probably find it pretty difficult to stumble upon very many. But there are ways you can increases your chances of finding old coins. You just have to know where to look for them. 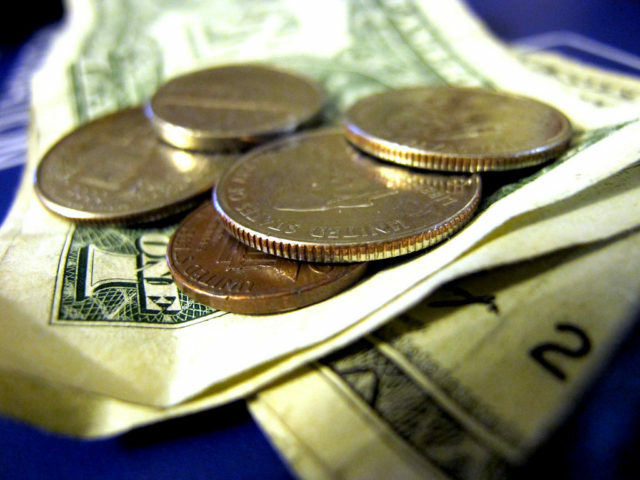 Let’s start with one of the most common sources of finding old coins: pocket change. Pocket change is where I found the first coin I ever put in my collection — a 1941 Lincoln penny. 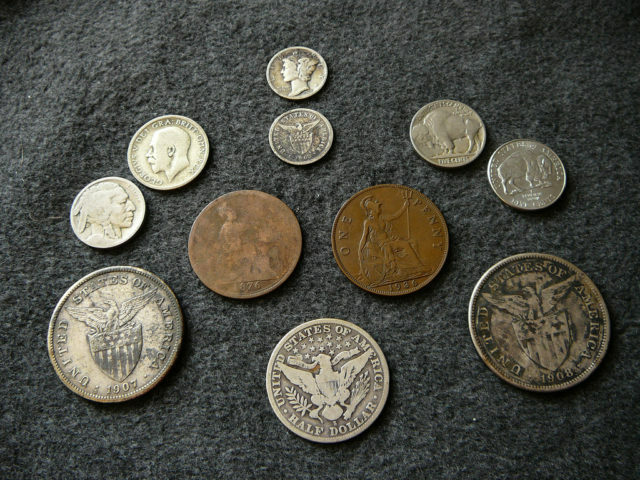 I’ve found plenty of old coins in circulation, including other old pennies, Buffalo nickels, and silver coins. Of course, it’s not always easy to find old valuable coins in your spare change. Less than 1% of the Lincoln cents I handle in day-to-day transactions involve wheat pennies. I’ve only found 2 Buffalo nickels (so far) in standard transactions. I’ve found a total of 4 silver coins in regular pocket change. These findings come from nearly 25 years of actively checking my change. Of course, you may have different results — and maybe more luck than I! The point is, your loose change may not provide you with a bounty of old coins, but it is one method for finding some old and possibly valuable coins. Searching through coin rolls is a great way to find old coins. I’ve made some of my best finds looking through rolls of coins. I’ve found some great old pennies in the so-called take-a-penny-leave-a-penny trays. 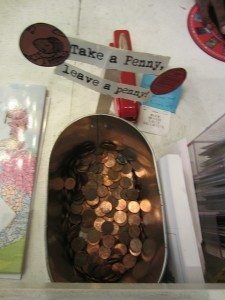 You know, those little ashtrays or cans filled with pennies near cash registers at some restaurants and mom & pop stores. They’re designed to help relieve you of your pennies — or help you pay the tab if you’re a few cents short in a cash transaction. I’ve found lots of one-cent coins in those penny trays. I’ve even found a few 1950s Lincoln wheat pennies that appeared to be uncirculated. I would suggest that you carry a few pennies along for trading — in case you happen to find some coins you want in one of those penny trays. It’s nice to at least give the store an even exchange for those old pennies! When I was young, I used to look through my mom’s and dad’s coin jars. I found some great old coins that way — including plenty of wheat pennies and nickels from the 1930s, ’40s, and ’50s. 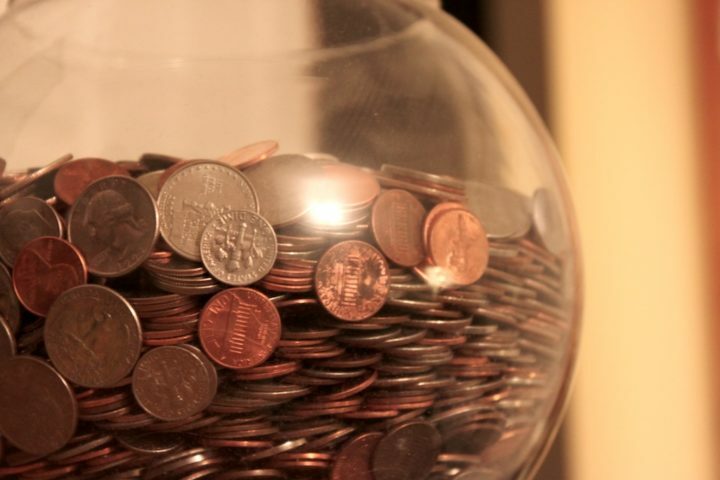 Chances are you’ve got some old coins in your coin jar, too. If you don’t have a coin jar, maybe some of your friends will let you look through theirs! Just don’t forget to bring along some coins to exchange — and maybe offer to do a friendly favor for the opportunity to look through their coin jars for old coins. While I don’t own or use a metal detector, I know a few people who do — and they’ve found some neat old coins scanning the ground with a metal detector looking for buried treasure. I don’t recommend walking onto private property that isn’t yours to look for old coins — that’s trespassing. I certainly don’t think breaking the law is the best way to go about looking for buried treasure. By no means should you go scanning private property under the cloak of night, either. You will eventually get caught, and any bundles of money you may have found will just be used to cover your attorney’s fees or criminal fines! 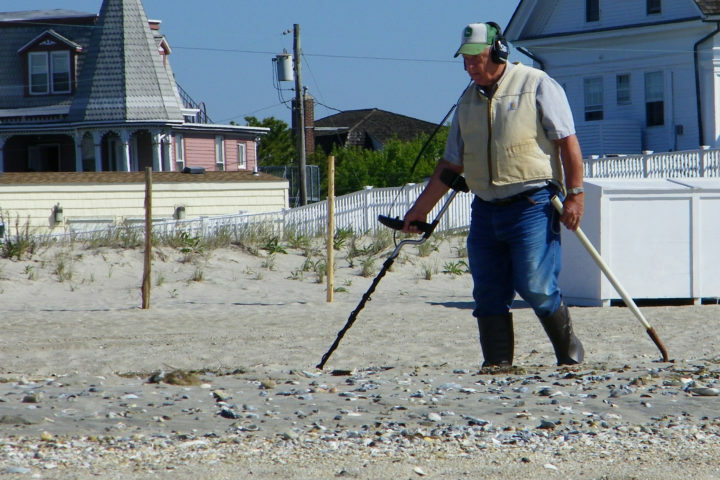 To look for buried treasure using a metal detector, I suggest doing so on public property or with express written permission from the property owners. If you decide to do some metal detecting on private property, it might be nice to offer splitting the value of old coins or other buried treasure you find with the landowner.